Home » Meet Our Partners » All Hands on Deck – Get Involved with PIF! to deliver conservation actions, including federal, state and local government agencies, philanthropic foundations, professional organizations, conservation groups, industry, the academic community, and private individuals. Partners in Flight has several avenues in which to participate in Partners in Flight conservation efforts. Whether it be using the Partners in Flight 2016 Landbird Conservation Plan, involvement with a Partners in Flight Working Group, using the Partners in Flight Avian Conservation Assessment Database, planning and delivering habitat projects or engagement with International Migratory Bird Day, this page has something for you. Most importantly, take time to contact us or if you use any of our tools or resources on a project, visit the media kit page and share our logo. Browse through some of the more specific ideas below. And please. let us know how if this web page has been useful and how you’ve used our resources for bird conservation. Use the resources on this website to join a geographic-based Working Group. Partners in Flight has several regional working groups that focus on bird conservation issues unique to that region. There are active groups for the western, mid-western, northeastern and southeastern United States, a Boreal Forest Working Group for Alaska and parts of Canada, a British Columbia Working Group for parts of Canada, and working groups that include Mexico and parts of Central America. Find and engage with other partners located in your area. This page provides links to individuals, agencies, nongovernmental organizations, Migratory Bird Joint Ventures and other regional partnerships in which you can participate. 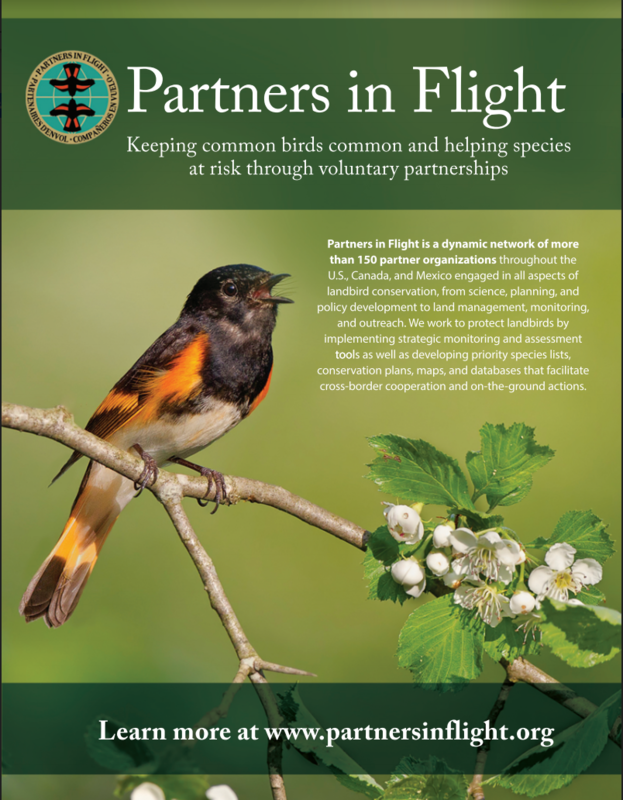 Partners in Flight also has voluntary conservation strategies developing specifically for integration with public lands management, private lands interests, as well as internationally. Sponsor an event or provide resources for International Migratory Bird Day. International Migratory Bird Day is a flagship project of Partners in Flight and is one of the premier bird conservation education venues that reaches across the hemisphere. Find out more and sponsor an event. Be sure to list your event here on our website. Submit your local bird lists to eBird. Bird lists from your area, submitted to eBird, can provide valuable insight into bird distribution and abundance throughout the hemisphere and helps to focus conservation efforts in your area. Find out more about eBird here. Use the conservation and habitat management tools on this web page to help with planning and habitat management decisions. This web page contains tools and resources to provide decision support conservation planning, project development and habitat delivery. Use the Partners in Flight Avian Conservation Assessment Database. The database provides a conservation assessment for bird species from Canada to Panama which can be used as a non-regulatory approach to focusing on important habitats, conservation efforts, monitoring and research priorities, and much more. Communicate Partners in Flight objectives and stories. This website includes a brochure that can be used for basic messages to the public about bird conservation and Partners in Flight, as well as our logo and other resources. Consider writing a story in your state wildlife or conservation magazine about Partners in Flight and bird conservation. Anytime you use Partners inflight resources or tools, feel free to download and add our logo to your project. Mail us a copy when you’re done! Contact local communications tower operators about incorporating bird friendly lighting. Certain lighting configurations on guy wires on communications towers are known to a attract migrating birds on foggy nights and result in large mortality events. Relatively simple changes to the lighting can make a difference, see the guidelines here. Increase your involvement internationally by participating in conservation across the full annual cycle of migrating birds. Conservation has to happen across all of the habitats in a bird’s full annual life cycle for populations to respond. 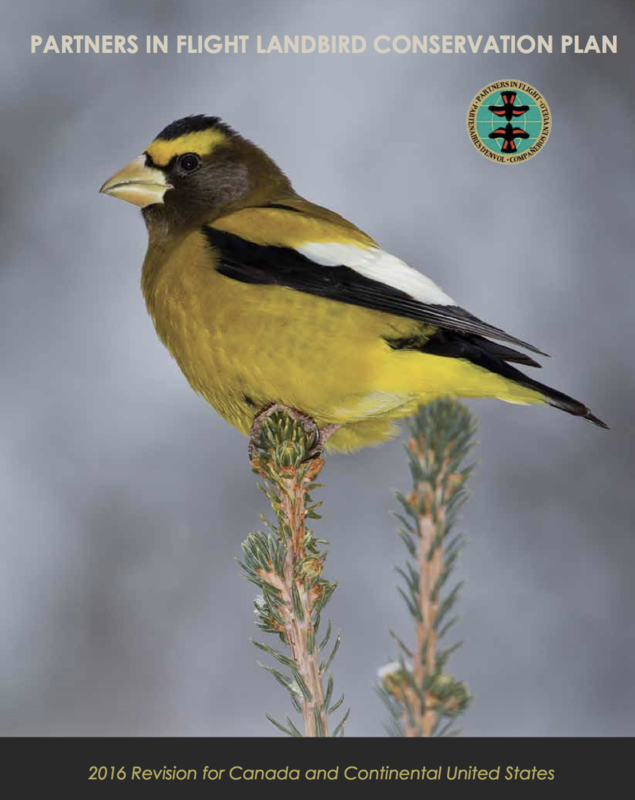 If you live in the United States, find in these pages opportunities to connect with others in Canada and across Latin America to learn about and work on stopover and wintering habitats. Our Coordinator, Bob Ford, welcomes your phone call to see how we can work together. Contact Bob from this page.